This came in the mail the other day. No reason. Or, rather, just because Liz is kind and thoughtful. She knows I love mail and orange. We kind of knew each other growing up. Different high schools, but proximity-wise, she wasn't too far. Her parents recently spent 18 months in my little city. Liz named her daughter after my first midwife. Okay, not really, but they do happen to share a name. So, we're connected in these little ways, which seasons life. She also has a very fun Etsy shop. 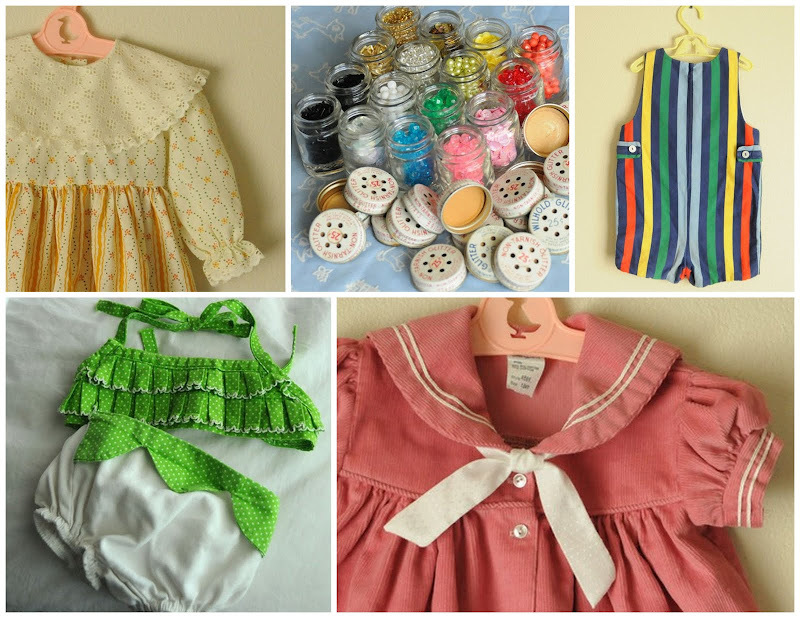 Mostly vintage children's gems of clothing. For bargain prices. I love surprise mail! What a fun necklace, and yes she does have fun shop! That necklace is fabulous! And who doesn't love surprise mail! I love mail period.... even when I'm expecting it. my cosmos are blooming. well, sprouting. did you fast & pray on their behalf? Sweet Liz is my niece. And I love Dinah's cute name (she's a doll). And I happen to love your blog. I'm a lamb now. Yay! Judy really is a lamb. thanks for your sweet words, Katy. you've made my day more than once.